Clean, safe, furnished rooms and apartments for rent in Connecticut's "Silver City". click on left hand address for more pictures & information on individual locations for furnished apartments or unfurnished apartments. 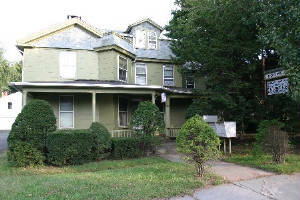 Furnished rooms are at the 663 Broad Street Address. All other addresses are furnished or unfurnished apartments. Clean Safe furnished rooms and apartments for rent in Meriden, Connecticut, the "Silver City". Centrally located between Hartford and New Haven with easy access to interstate 91 or 691. For over thirty years now we have been renting furnished rooms and apartments to business people, students, and others in need of Clean Safe housing in the Meriden area. Short term or long term available. Please view the pages listed on this website and see sample apartments and rooms that are available for rent. Need a roommate? Providing rooms for rent, sublets and roommates since 2001. 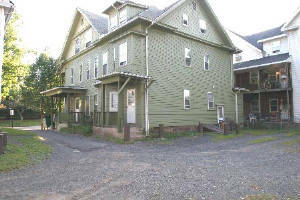 Meriden Rooms and Apartments For Rent! *NOTE* THIS IS A HARD-LINE PHONE THAT DOES NOT RECEIVE TEXT MESSAGES. YOU HAVE TO CALL AND SPEAK WITH SOMEONE.